How have you begun this New Year? Did you resolve to release anything? Have you set a list of intentions to aspire and achieve over these next 365 days? Is there one word You can use to describe the way you feel 2014 will unfold for you? Consider what is bubbling up inside of you and see if you can put a word to this sensation. Write it down on a piece of paper and place it into a 2014 collection jar/box or start a fresh new 2014 Journal with this word as your Theme! I wanted to share with you what has come to me over the past several weeks as a theme for 2014. It’s something I’ve felt and witnessed in my own life and many around me. 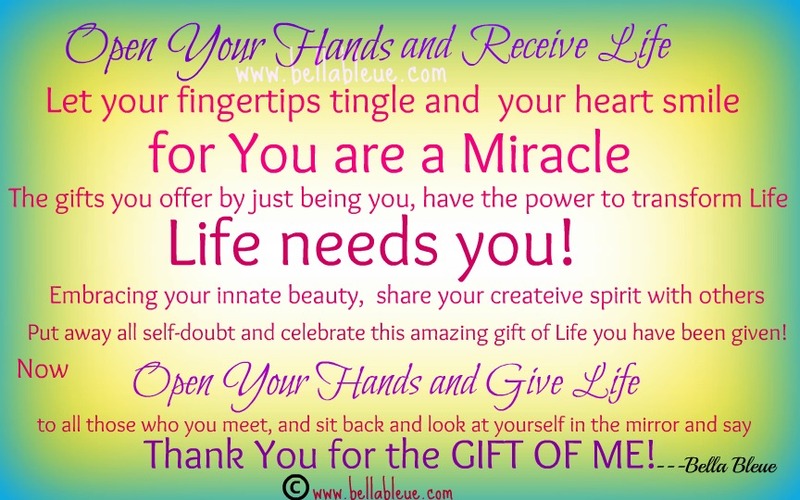 Sometimes we take them for granted but if we witness, acknowledge, really recognize, and appreciate them, it unlocks the gates to so much more ~ Miracles! You may call them what you like; an act of God, object of wonder, Divine Intervention, God’s Hand, angelic help, miracles, magic, supernatural forces, Murphy…but ultimately, there’s no way to explain what we witness with our own eyes when these events occur. They strike us, leave an imprint, an impression we cannot discount to keeps our hope alive as we continue along our life path that they may impart more wondrous events and further our trust they do exist! Have you ever witnessed one, a miracle? I know I have witnessed many in my own life. I believe we’re meant to expect them and appreciate them in order to allow more. 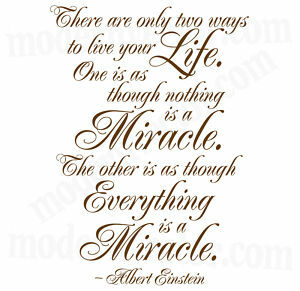 Miracles are the natural way of the Universe ~ our only job is to move our doubting minds out of the way. How open is your heart? How willing are you to just trust there is something bigger than you that cannot be explained in words? This is what my theme revolves around. I see this year to be all about the ability to throw caution to the wind and Allow whatever miracles you need to manifest in your life. I use the word Manifest because ultimately, a miracle can happen in front of you and you may not witness it no matter how obvious it is if you’re not open to seeing it ~ this means actively looking for the good in all, recognizing what is positive in your life, giving thanks and appreciating the moments of insight and beauty you are exposed to daily! If you’re looking for something to complain about, you’ll find it while if you look to appreciate something of beauty, it will appear. Equally, it’s all about what you are open to allowing into your life. This year is a clean slate for all of us! 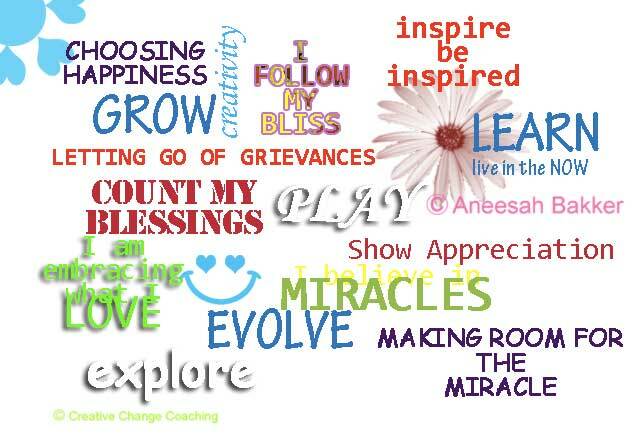 Resolve to release old ways of thinking, behaving, and being to creating a renewed sense YOU! Consider what you’ve always wanted to be and just BE that! Work towards your heart’s desire ~ tap into your Heart’s Wisdom! Want to make changes, make them! No more excuses! What do you have to loose? REALLY!?! If you’re not happy, ask yourself why because you know deep down inside and only you can make the choice to change your situation. If you want answers you need to go within. Nothing nor nobody outside of you has the answers your Heart and Soul can reveal to you. Take the time to pray, meditate, reflect, or whatever it takes for you to connect with your inner and higher Self. You owe it to YOU! I will share one of my resolutions because I believe we all need to do this ~ without reservation, “Let Love ~ Allow Love ~ Love & BE Loved!” What this means to me is truly opening my heart to all the love I may have rejected or held back from others and even myself. Why? Well, because as much as I want to believe I’ve been loving, I know I have so much more potential within me and the more I open myself and actively demonstrate this, the more it will inspires others to do the same! I know the way the waves ripple out energetically and I want to manifest the miracle of Love in ALL so we can uplift this world. The ways we choose to be uplifted are a result of what we feel we deserve, are worthy of, and our level of self-esteem. Opening up to love is the hardest for those of us who have lived in denial of it. 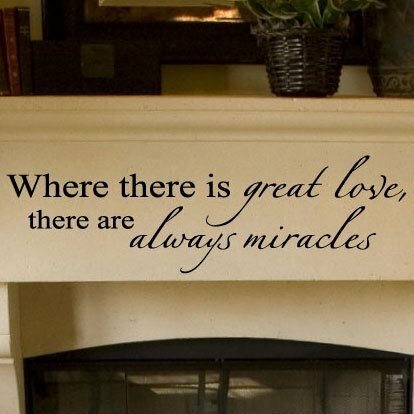 Love has the power to heal and when we allow it, it can be the catalyst for many miracles to unfold. What are you willing to let into your life this year? Will you expand your mind to be astounded by the greatness within you that is meant to be shared with the world? Never underestimate the power you have because we all have it. I suggest this be a year when our Hearts connect and our Souls unite, a year where we create the life we’ve always imagined and so much more, and remember to connect to the one thing that truly matters and we all have in common ~ LOVE! We all deserve it and it’s time we all embrace and embody it. The more love we allow in our lives, the more we can share with others; the more love we share with others, the more love we will receive in our own lives! Our personal power is all about living in love. Let’s tap into our Personal Power this year and prove we are capable to Manifest Miracles! I’ll uplift and support you in this ~ Allow it and watch how we can move mountains!